Professor William Christie from the Australian National University will present a lecture entitled “Lord Byron and the Greek Revolution” on Thursday 9 June 2016, at the Greek Centre, as a part of the Greek History and Culture Seminars offered by the Greek Community of Melbourne. Professor Christie in his lecture will tell the story of Lord Byron’s celebrated contribution to the Greek revolutionary wars in the 1820s, who later commemorated throughout the newly independent nation and now part of its national mythology. The lecture tells and interprets the story of Byron’s negotiations with the various feuding factions of the Greek revolutionary army and reads the final, painful months of his life in the context of the long love affair the poet had had with Greece since his first sojourn there as a young adventurer many years before. Professor Christie is Head of the Humanities Research Centre at the Australian National University, a Fellow of the Australian Academy of the Humanities, and past president of the Romantic Studies Association of Australasia (RSAA). With degrees from Sydney and Oxford, he was Professor of English Literature at the University of Sydney before his appointment to the ANU last year. 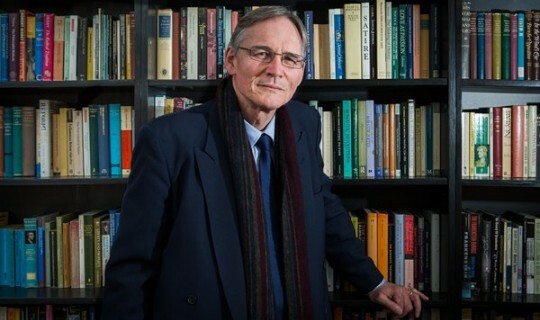 His publications include Samuel Taylor Coleridge: A Literary Life (2006) – awarded the NSW Premier’s Biennial Prize for Literary Scholarship in 2008, The Edinburgh Review in the Literary Culture of Romantic Britain (2009), Dylan Thomas: A Literary Life (2014), and The Two Romanticisms, and Other Essays: Mystery and Imagination in Romantic Literature (2016).